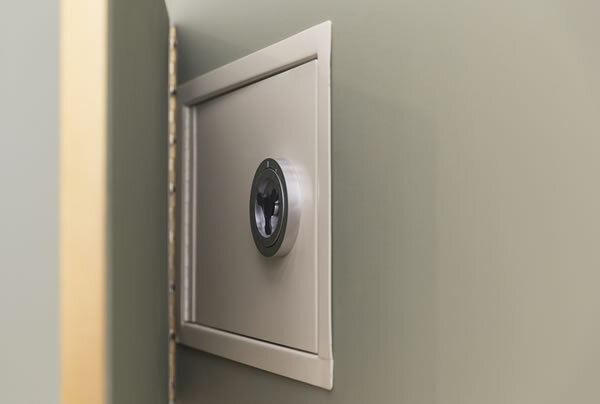 Where should you put hidden safes if you want to keep your valuables out of sight? We're talking spy-level subterfuge. No one will even suspect that you're hiding something when it's placed in the coolest, but surprisingly ingenious, places. This is important because the burglary rate in some states is hitting nearly 1,000 incidents per 100,000 homes. Even if you live in a gated community, you're still at risk of being targeted. Don't delay to protect your family heirlooms and precious jewelry. If the police can't prevent crime from taking place, it's up to you to do your best to keep your home as safe as possible. There are effective ways to deter thieves. These methods include owning a dog and installing CCTV around your property. An alarm system might also alert the authorities and your neighbors to the presence of thieves. But once they've got inside, they might still have time to grab your valuables and run. Particularly if you've left all your cash and jewelry in an obvious place. Where are the best hiding places for your things? And where are the best locations to install hidden safes? Let's find out some really cool ideas. Burying a safe makes it almost impossible to find unless you already know it's there. Use an obvious marker in your garden to show where it is buried. For example, you might place a bench directly on top of the burial site to conceal its location. Keep a note somewhere (discretely) to remind you of its exact location. You may also want to have a relative hold a similar letter regarding its positioning - just in case you weren't able to retrieve it yourself for whatever reason. This is one of the most secure ways to store hidden safes. But it's obviously not the most convenient. It's not suitable if you might need your items in a hurry. But for something extremely precious that isn't used very much, it might be. While we're on the subject of your garden, let's talk about rocks. You'd be mad to leave a key lying around in your garden by itself. But if it's hidden inside a rock, you can rest easy. 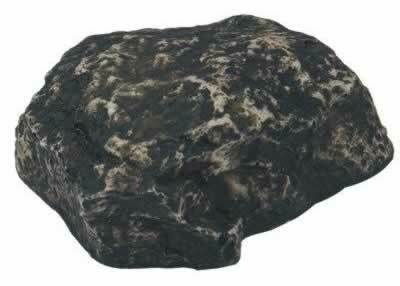 Position your fake rock in a drystone wall, or with a pile of other rocks as part of a rockery. It's realistic enough to fool casual viewers, but useful if you forget your key and need to get into the house. Make sure that the fake rock is placed with rocks that look similar to it. Let's say that you've got a couple of these hidden safes which appear to be old and dirty rocks. They will stick out like a sore thumb in a neat rockery of smooth pebbles. Be careful not to give the game away. A James Bond-style secret panel that can be slid aside. Only you know where it is, and it looks just like the rest of the wall when sealed. How cool would this be? An alternative to this is to have a panel behind a clock. That's pretty nifty too! However, both of these options are quite specialized and would be fairly expensive to install. Still, a homeowner can dream of enjoying these hidden safes. As an alternative, stick it in the floor in your home office. You can cover it up with a rug, or place it underneath the corner of a desk. This is some more Hollywood-level stuff. You've almost definitely seen at least one spy movie where a character swings open a painting to reveal a safe. Could you do this in your home? It's pretty similar to the above idea, in that you store it in your walls. This is crafty, but not suitable in every situation - for example, when you don't have enough space or support inside the walls. Using a cheap-looking painting is best. You don't want thieves trying to steal something that looks like it might be valuable, and for them to realize it's your safe! Some of the best ideas for hidden safes use things we see every day, that no one would think twice about. And then turn them into a genius solution. Which burglar is going to poke their nose through into your air vents? Ever since we saw Walter White do this in Breaking Bad, we've been obsessed with this idea. A fake air vent acts as a panel (with a locking mechanism). Behind that panel sits your stuff. We think that's really clever. You can hide a reasonably large safe underneath one of your stairs. A specially fitted stair can be attached to a hinge and clip mechanism. Undo the clip, swing the stair up and enter your combination. If you're unfortunate enough to be robbed, the burglar will be rushing around your house. They'll be frantically trying to grab what they can. Particularly if there's a wailing alarm in the background. They will not stop to think that all your jewelry could be in hidden safes under the stairs. And even if they do figure it out, they'd have to figure out your combination. We feel that this is a pretty safe bet for most homes. Bungalows are the exception, but if you have steps at all - for example, down to your garage - you may still be able to do this. These types of hidden safes use a similar idea to the stair safe. It looks just like a regular shelf. But when you unlock it, the bottom swings down to reveal your hidden items. These look very convincing. And they're so unusual that it would be a rare burglar who cottoned on to the fact that all is not as it seems. If you have a big cellar, you can dig it out a little deeper in one spot to hide a large safe in the floor. The safe door can then be hidden under a rug, or you can place furniture over it. If the stuff inside isn't something you're using often, heavy sofas might be a good choice. No one is going to drag aside big furniture thinking to find a safe underneath. Here's a DIY idea for hidden safes you can do in seconds. 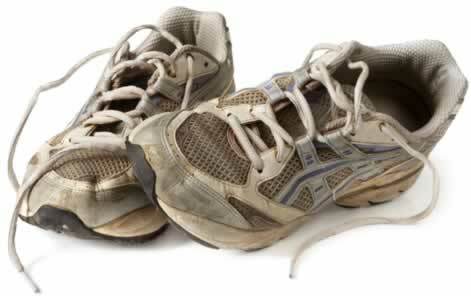 Do you have an old, beaten-up pair of shoes? Pick a pair that looks absolutely worthless. Old gym sneakers which have been left for a long time are a good choice. The toe end of these is a great hiding place for little things. The thought of rifling through dirty shoes is unpleasant. So it's just not really possible that a burglar will think to look there. You may wish to bag up your small items first so that they're not directly touching the shoe! This one is a classic. You can carve out your own book (preferably one you don't like). Just use a knife, and paste together the pages to add stability. Or you can buy a ready-made hollowed-out book. The book safe we stock actually has readable pages in its first section, to really through people off. Alternatively, get one with a proper locking mechanism for when you need to hide more valuable items. Adding pockets halfway down your curtains allows you to hide little bits and pieces, and it's not a place people would think to look. We recommend this isn't used for extremely valuable items, as there's a chance they'll be found. But it's a good potential choice for things like spare keys. Don't label any keys you hide by the way - this will tell the thieves exactly what it's for, which is not great! The same advice applies to the keys you carry around with you. Never put your address on a keyring. One of the best places to hide something is in plain sight. Who's going to think anything of a tennis ball or football sitting in your garage? But this one is different. You've hollowed it out, placed things inside, then sat it on a shelf with other sports gear. No one will look twice. Just make sure the kids always take the right balls out to play with! Which burglar would think to look behind the plugs? It looks just like a normal plug, but when you pull it from the wall, bingo. There are your valuables, safe and sound. Even if a burglar had a sneaking suspicion you'd had these hidden safes installed, they'd have no idea which plugs were real and which might be fake. So the chances of them finding anything are absolutely minimal. 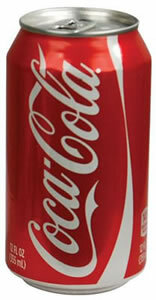 Check out this can of Coca-Cola. It's one of the best-known brands in the world, and so unexceptional that burglars won't think twice when they see it. But this can have a crafty secret. Its bottom is actually a secret compartment where you could easily store expensive rings or other small jewelry, keys or precious stones. Another great solution for small items. Store it in the fridge with a few other cans. Any intruder is unlikely to open the fridge in search of your valuables anyway. This means that of all the hidden safes in this list, this one is at least doubly effective. 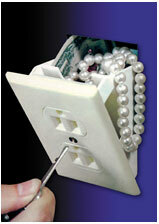 A number of hidden safes of this type are available. We've got branded iced tea, lubricating oil, and peanut butter containers, for example. These are sure to throw burglars off the scent. Here's another trick about hidden safes we learned from the movies. A convincing fake-bottomed drawer is a good way to cover up your possessions. In fact, it's a good strategy to leave something shiny (but worthless) in the main part of the drawer. The burglar opens it up, finds that, and leaves. That item was only there to distract them. They're not going to come back and look in the same place, as they think they've got everything from there already. But they haven't. Your valuables are still safe under the bottom panel. Be sure to pick one that matches the style of your desk, or it can be a bit of a giveaway. If you've got bare brickwork in your house, or maybe in your garden, this can be an excellent place to store a full-sized safe. Removing a few loose bricks reveals the safe. Enter your code and you're in. You might use fake bricks, just to make them a little easier to lift. Hiding things in the walls is a decent strategy, as no one will know where to even start looking. 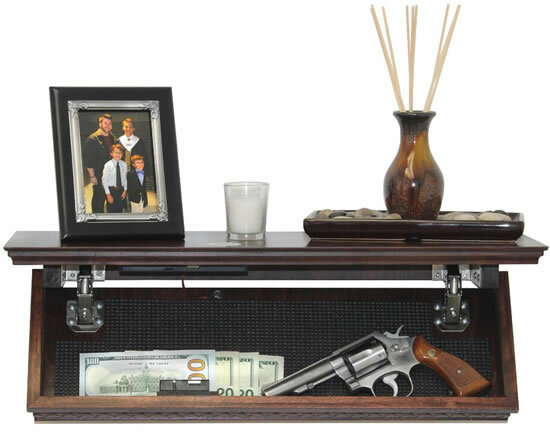 Hidden safes aren't the only thing your home needs to keep your valuables safe. Use hidden cameras to monitor your home and watch for intruders. These offer live protection for your home and also store data to a removable SD card. Make sure you know the best places for these in your home. Let's say you're away from home, and unfortunately, you're targeted by thieves. This camera is well hidden, so the thieves won't spot it and turn it off. It could be an important source of evidence in a subsequent court case. And you can use hidden safes to conceal defensive weapons too. For example, a Taser to protect your home against burglars. You don't want trespassers to spot these first and use them against you. So keep them out of sight until the time comes. Protect your home with these items and much more from TBOTECH. 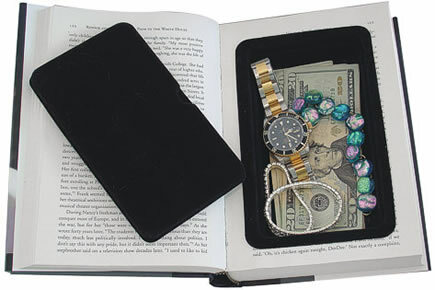 We have a large variety of these types of diversion safes.